The Royal Thai Navy has officially received the first Endurance-class landing platform dock ship, HTMS Angthong (LPD-791) at Laem Thien Port, Sattahip naval base in Chon Buri, Thailand. 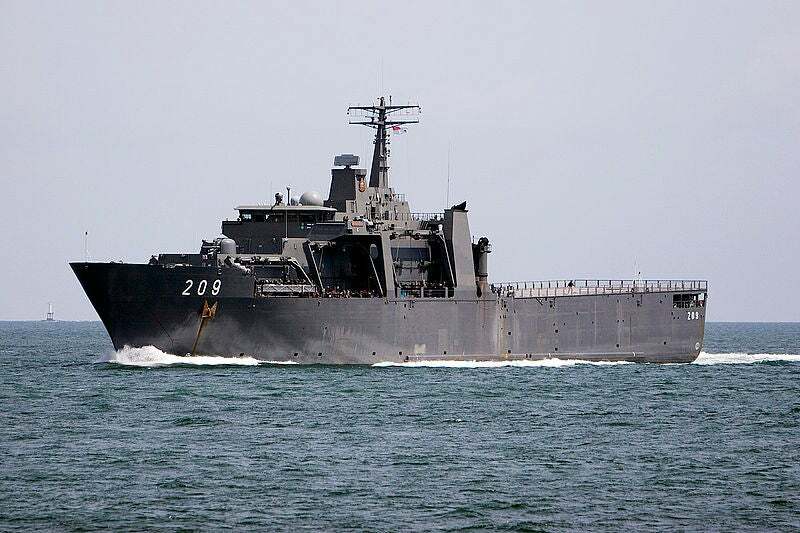 The delivery follows a $134m contract awarded to ST Marine for the construction of one Endurance-class LPD, two units of 23m Landing Craft Mechanised and two units of 13m Landing Craft Vehicle and Personnel for the Royal Thai Navy in November 2008. Royal Thai Fleet Commander in Chief Admiral Kanat Thongpool said that the HTMSAng Thong is also suitable for rescue missions because it has a sick bay, a minor operation room, a dentist room and has doctors on board. Based on the design of the Landing Ship Tanks built for Singapore Navy, the 141m-long Angthong has a beam of 21m, displacement capacity of 7,600t and can accommodate 360 personnel for landing operations and 30 administrative officers. HTMS Ang Thong commander Teerasan Khongman said that the new landing craft features well dock to launch tanks and boats and can also carry four landing craft with vehicles and personnel. Launched in March 2011, the frigate features 76mm Oto Melara super rapid naval gun, which can fire at a rate of 120 rounds a minute to a maximum range of 30km. Additional features also include two simbad twin launchers that can fire Mistral surface-to-air missiles, which carry up to 2.95kg of high explosive warhead to a range of 6km. The Navy is planning to procure additional landing ships of Endurance-class to replace the recently decommissioned five old auxiliary vessels. HTMS Ang Thong’s crew are currently undergoing training in Singapore in preparation for its deployment during the US-Thai Cooperation Afloat Readiness and Training (Carat) exercise to be held in May 2012. The new frigate is also scheduled for deployment on a peace-keeping mission along with HTMS Similan next year. Image: design of the HTMS Ang Thong is based on the Singapore Navy’s Endurance-class RSS Persistence (209). Photo: jimmyweee.